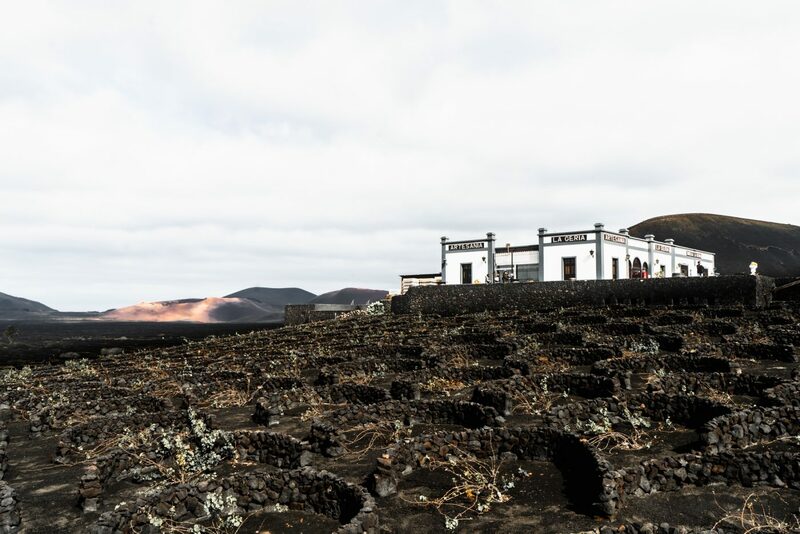 In my previous article you could read all about the best César Manrique attractions in Lanzarote, but the beautiful island has so much more to offer. I was there for a week and didn’t feel bored for one second! Maybe you aren’t a big fan of art and museums? Maybe you prefer the outside? 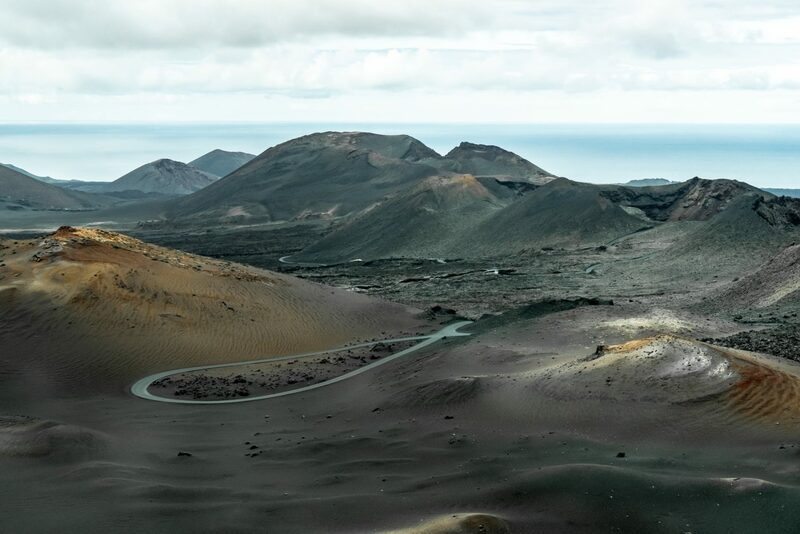 Lots of people visit Lanzarote to exercise running, cycling… But even if you’re not a sporty person yourself, there are a high number of awesome nature-oriented things to do in Lanzarote. Let’s have a look at my favourites. This is absolutely my top pick of all possible things to do in Lanzarote. You just have to see this national park. Entry price is 10 euros but you can enter by car and drive all the way to the top where El Diablo restaurant is located. Apart from a bus ride, which is included in the entry price, there’s not much to do. You can visit the souvenir shop, have lunch at the restaurant, which grills the food on a hot air vent. You can also watch a tour guide pour water in a hole to provoke steam which comes from the active volcano system underneath your feet. But it’s that bus ride that makes it all worthwhile. You can’t get out of the bus which means there isn’t a single footprint in the entire national park. Driving through this timeless place feels as if you’re on another planet! 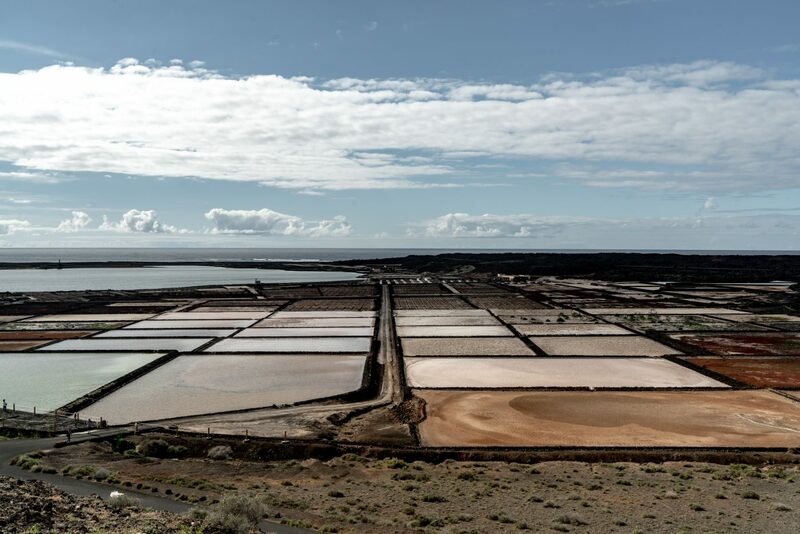 Los Salinas de Janubio are salt flats not far from El Golfo. The waters from the natural lagoon are evaporated to yield the salt. 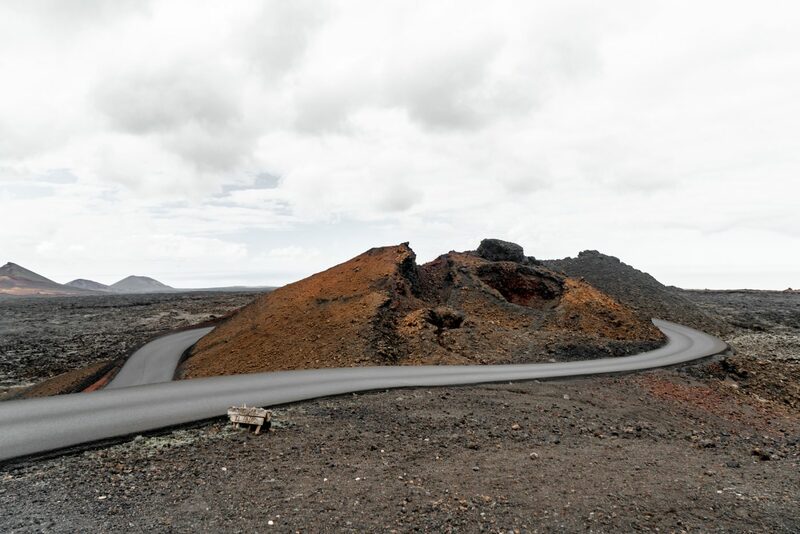 It’s a nice photography location on the western side of Lanzarote. Great scenic views from the road, so you can’t miss it. 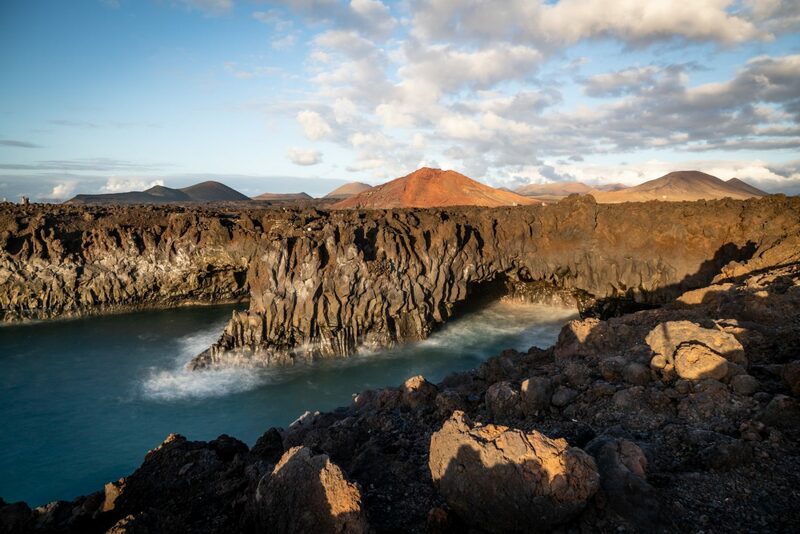 Los Hervideros, meaning something like ‘the boiling pots’, is the meeting point between the volcanic cliffs of Lanzarote and the water of the ocean. Here, the coastline is at its most rugged, and waves are crashing into two giant sea caves. It’s an incredible sight, and when you visit you’ll soon notice why they gave it that nickname. Visit during high tide for the most spectacular shots! 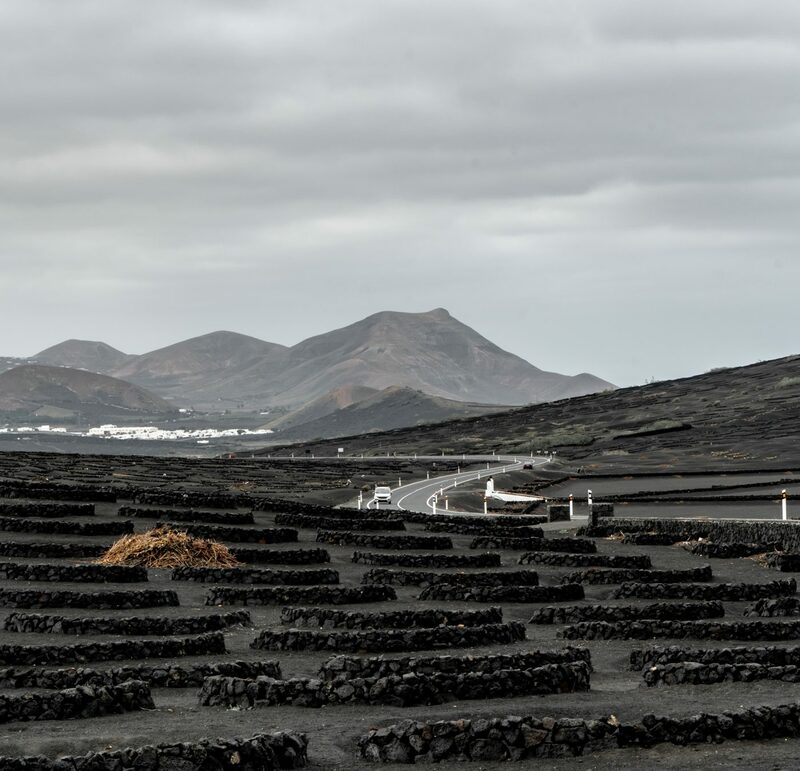 There are a couple of wineries in the area but Bodega La Geria is the oldest one on the island of Lanzarote. Wine is cultivated in a very special way: little curved walls protect the vines from prevailing winds. It’s seems extremely inefficient but apparently it works. The winerie has been there for hunreds of years. Moreover, over 300.000 tourists visit each year. The thousands of little walls creates a spectacular landscape so it’s worth to visit La Geria during your stay. Charco de los Clicos is a green lagoon inside a half-open crater near the beach of El Golfo. The algae and seaweed on the bottom of the pond cause the water to turn green. The pond is in stark contrast with the red gravel of the cliffs and the black sands of the El Golfo beach, which is unique on its own. It reminded me of my time on the black sand beach in Iceland, except the weather is better in Lanzarote! Especially during a beautiful sunset, the place turns a little more magical. A difficult 1 hour descent (and an even harder 1,5 hour climb) starting from high up the hills of Lanzarote near Mirador del Rio. 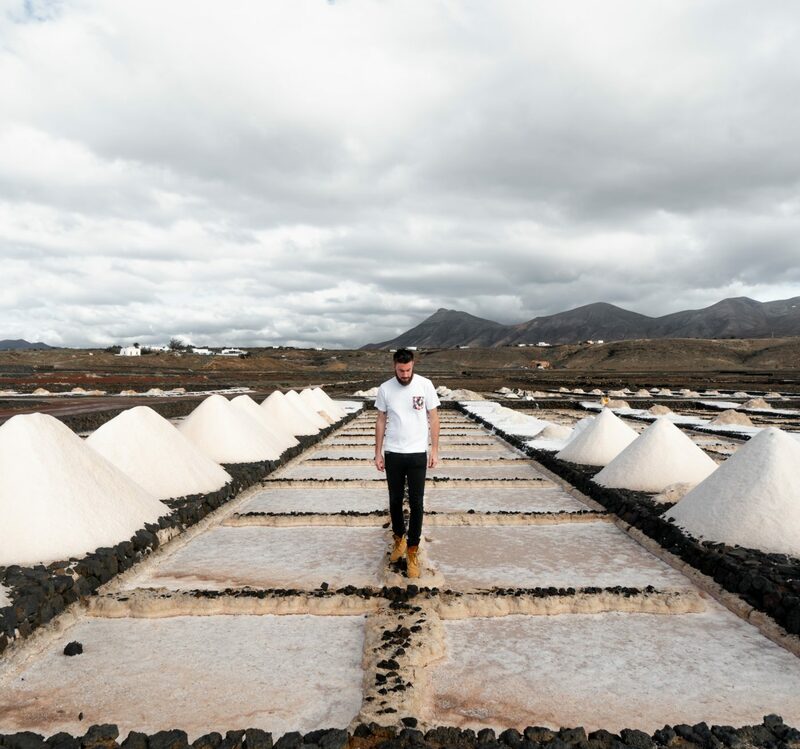 The hike ends at sea-level, all the way down at Del Rio salt mines, the oldest in Lanzarote dating from the 15th century. 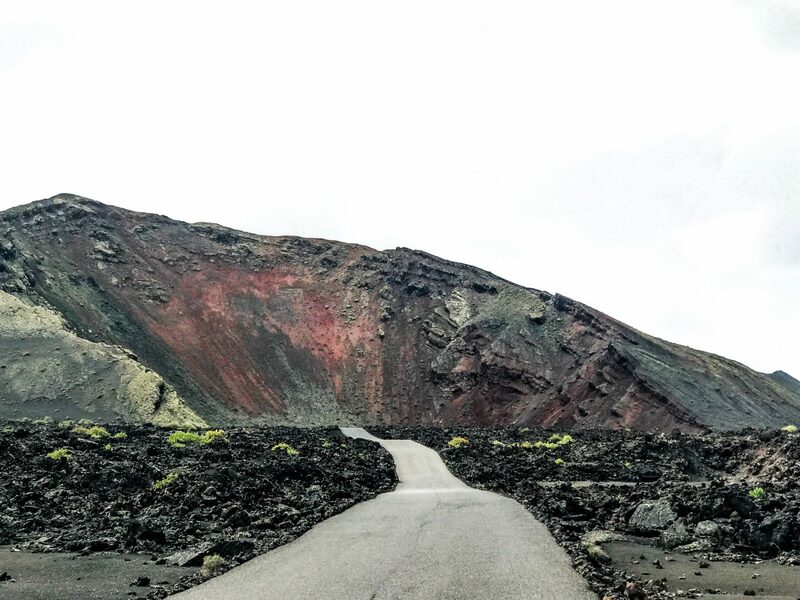 Camino de los Gracioseros is an ancient hiking trail inhabitants used back in the day to get to La Graciosa. From the town of Ye, take the scenic road to Mirador del Rio. Turn left and you find yourself on a cobblestone road. You can park your car there and continue on foot. It’s a zigzagging and slippery trail down, but once you find yourself all alone at the secluded El Risco beach, it’ll all have been worth the effort. 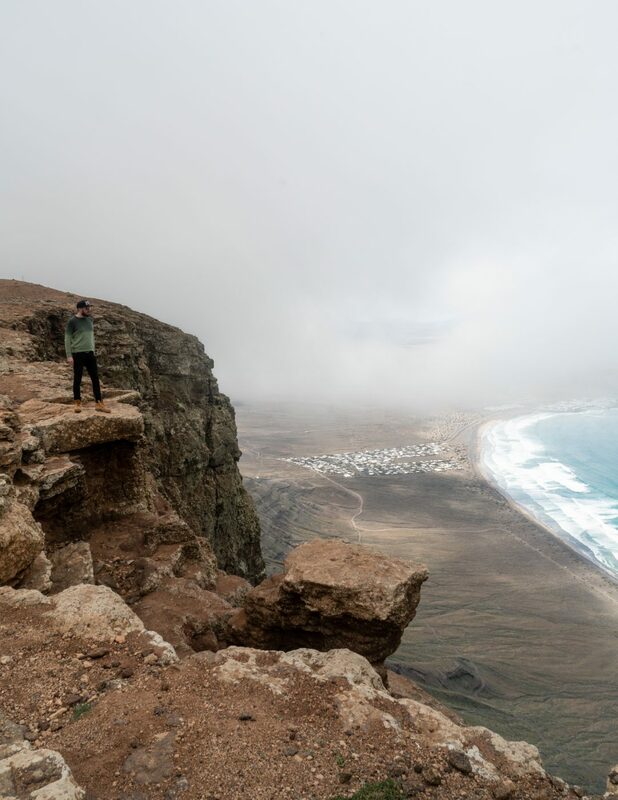 A similar hike up the Famara cliffs is the hike from the surfing village Caleta de Famara to the highest point of Lanzarote: Peñas del Chache (671m above sea level). 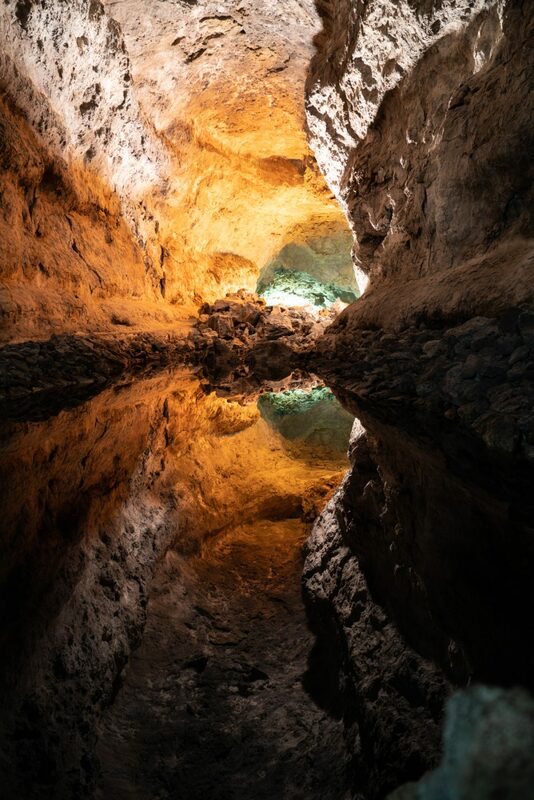 While there is no direct link with Cesar Manrique, it was his good friend Jesus Soto who designed the lighting and had some water pools made here and there to make it even more beautiful than it already was. 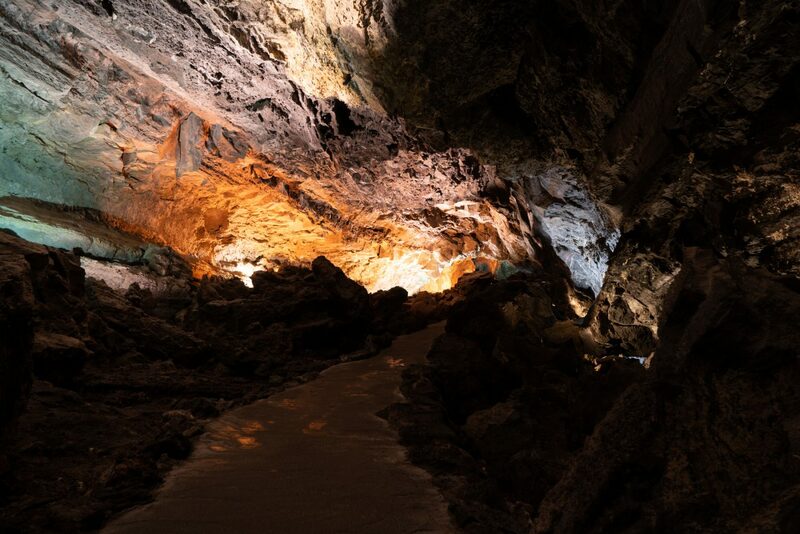 It’s a fun activity for young and old; I mean how many times in life are you casually strolling through a lava tunnel? Another great thing to do that technically isn’t really in Lanzarote, is visit the quiet nearby island called La Graciosa. I devoted an entire article to my trip there. Apart from the natural attractions I listed above, you just cannot miss some of the finest César Manrique stuff on the island. For more inspiration, feel free to check out my Instagram account @bengoesplaces!